Andrés Guariguata is the Clinical Services Lead for the Texas Systems of Care. In this role, he oversees the quality of clinical services provided through the Systems of Care efforts. He collaborates with all local administrative and clinical staff engaged in the Systems of Care initiatives with a focus on implementation of best practices in screening, assessment, mental health and substance abuse/misuse services. Key to this partnership are family and youth voice to ensure that services are meeting family, youth and community needs. Andrés has worked in the field of mental health care and integrated behavioral health services for over 35 years. He has worked in direct services, community mental health services, integrated behavioral health services and at state administrative/policy levels. 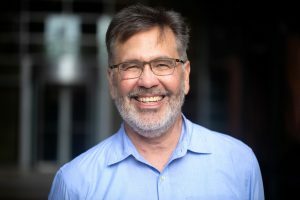 Andrés served as the Director for Children’s Mental Health Services for the Texas Department of Mental Health and Mental Retardation and was a Senior Policy Advisor for the Texas Health and Human Services Commission.